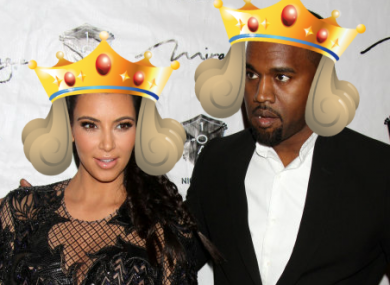 FAST FOOD RESTAURANT Burger King have offered to provide the spread for the upcoming Kimye wedding celebrations. The burger chain stepped in after reports that Kanye purchased Kim a chain of 10 Burger King outlets as a wedding present to help make her “a real international businesswoman”. A source told The Daily Star that Kanye is thinking practically when it comes to his wedding gift. He knows the fast food industry is reliable and lucrative, plus BK is international so he thinks it’s the perfect fit for Kim. Kanye wants to buy her 10 restaurants across the UK, Italy and France, making her a real international businesswoman. So what do Burger King think of their new business partner? Burger King Corp. is familiar with the recent news stories regarding Kanye West and Kim Kardashian. We are unaware of any purchase of Burger King restaurants made by either Mr. West or Ms. Kardashian, but we’re available to cater the wedding! We can’t see Kim taking them up on that, to be honest. Email “Burger King offer to cater Kim Kardashian and Kanye West wedding”. Feedback on “Burger King offer to cater Kim Kardashian and Kanye West wedding”.